I am the grandson of Holocaust survivors who were lucky enough to escape the Nazis. My grandma and grandpa narrowly dodged the concentration camps where many Jews, including family members, would perish. Though they survived, they lost everything. Money, property, educations, careers -- all lost. After scraping by for almost 10 years in the Jewish ghetto of Shanghai, my grandparents made their way to Chicago to begin life anew. But the thoughts of what "could have been," and resentment for the pain inflicted upon them, would never completely go away. 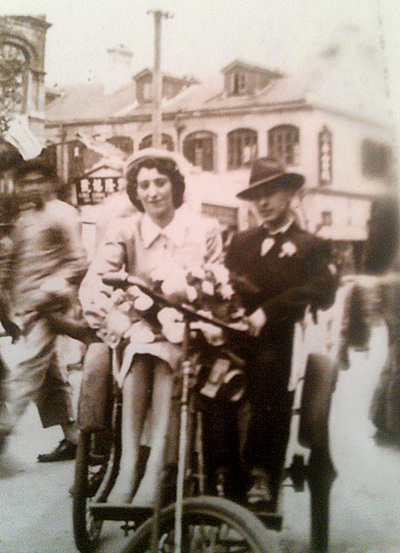 The author’s grandparents on their wedding day in Shanghai, China, Nov. 30, 1947. Growing up, my grandma repeatedly shared stories about her experiences. How things changed when Hitler came to power. Her father's arrest on Kristallnacht. The slow boat to China. The cramped living quarters that they shared with family members. Her bout with typhoid. The devastating and lethal bombing raids by the Allies. Her father's job managing the Jewish district's cafeteria. Right down to the food they ate and the songs they sang, my grandma stamped the stories of her experiences into my conscience. As I would listen, the sense of her loss was palpable. Something intangible was destroyed that could not be recovered. Even at a young age, I remember being angry and confused at how such a sick drama could play out in real life, and sharing in her bitterness at what had been done to our family -- simply because we were Jewish. Even today, though my grandparents are no longer with us, I continue to carry their stories with me, and I share them every chance I get. My grandpa always said that my brother and I were his reward for a very challenging and tumultuous life. My wife and I recently welcomed our first child into the world -- his first name is Zachary, which means "to remember," and his middle name is Jacob, for my grandfather. For me, the only act of defiance as powerful as telling my grandpa's story is to keep his family going strong -- and to always remember. Now, more than 75 years after the Holocaust, justice for Nazi horrors is nearly impossible even as aging Nazis are being put on trial to answer for the atrocities at Auschwitz and elsewhere. For the typical 20- or 30-something, who is finishing her education, forging a career, or starting a family, outlets for meaningful Holocaust remembrance and education must be -- and are -- available. 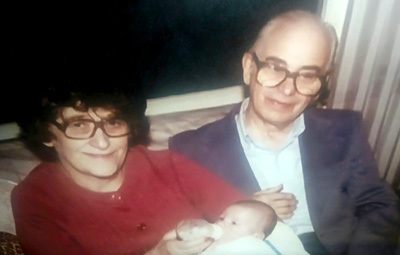 Michael Bregman, as a baby, with his grandparents. That is why I could not be prouder and more excited to be a part of the Young Professional Committee of the Illinois Holocaust Museum and Education Center in Skokie. Founded by Holocaust survivors who regularly lead tours of the museum's exhibits, the museum is a permanent testament to the tragedies of the Holocaust and the stories of people just like my grandma and grandpa. The newly formed YPC is comprised of young professionals of diverse backgrounds. The up-and-coming community leaders of the YPC are taking up the mission of raising funds and awareness for the museum in order to preserve the legacy of our Holocaust survivors and to confront bigotry and intolerance in all its forms. The responsibility to ensure that the experiences of my family and other families are not forgotten is as crucial as ever. 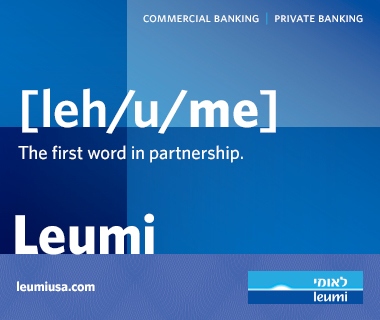 Today we bear witness to virulent anti-Semitism in Europe and the rest of the world. The ignorance of Holocaust denial must be confronted urgently and immediately as it surfaces -- and in perpetuity. Telling the stories and educating future generations is the ultimate act of defiance and the best way to ensure that the tragic history of the Holocaust does not repeat itself. 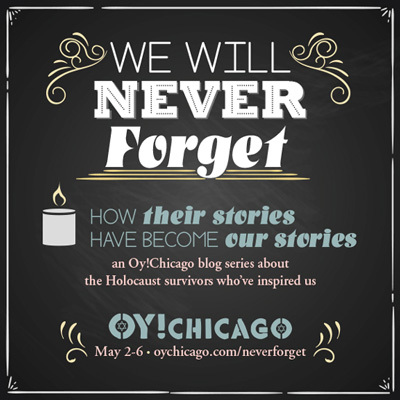 The YPC and the Illinois Holocaust Museum and Education Center are committed, with your help, to doing just that. 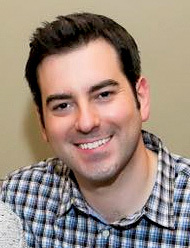 Michael B. Bregman is an attorney in Chicago with the firm of Ruff, Freud, Breems & Nelson, Ltd., and is an annual Co-Chair of the Young Professional Committee of the Illinois Holocaust Museum and Education Center. The Illinois Holocaust Museum and Education Center is a special grantee of the Jewish United Fund of Metropolitan Chicago.